Good decision by the Supreme Court yesterday, holding police can't delay a traffic stop to bring on the dogs without reasonable suspicion. 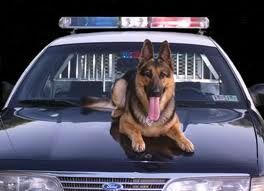 Actual holding: Absent reasonable suspicion, police extension of a traffic stop to conduct a dog sniff violates the Constitution’s shield against unreasonable seizures. The opinion is here. The 8th Circuit opinion is here. Update: Transcript of argument in Florida v. Jardines is here, and Florida v. Harris here. Washington Post recap here. Will the Supreme Court keep the 4th Amendment from going to the dogs? The Supreme Court held two hours of oral argument today on the constitutionality of using drug-sniffing dogs at private homes, and the reliability of the dogs. Background here and at Scotus Blog here. Wired reports here, and the LA Times here.